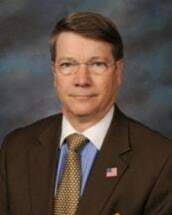 With over 35 years experience working with business entities, Rick has developed significant base of experience representing public and privately-held businesses, health care and non-profit entities with their corporate structure, growth and financing issues. Specifically, Rick has extensive experience representing parties in contract negotiations, business sales and acquisitions, joint ventures, public and private financing, and long-term production and supply relationships. He has been selected by his peers for inclusion in The Best Lawyers in America® (2006-2017) in the field of Corporate Law. Rick is a member of the legal team representing one of the Miami Valley's largest hospital/health care networks, which includes acute care centers, physician practices, and not-for-profit, for profit joint ventures, and hospital bond issues. Rick currently serves as the chairman of the firm's Corporate/Business Law Department, where he manages client service issues and professional development for attorneys serving the firm's clients' business and corporate law issues.